reverse order in which it was removed. to the periphery of O-ring. radiator panel (B). Tighten attaching bolts. blowing air or water through them. denser is installed in an actual vehicle. denser replace it with a new one. 1) Disconnect battery negative terminal. 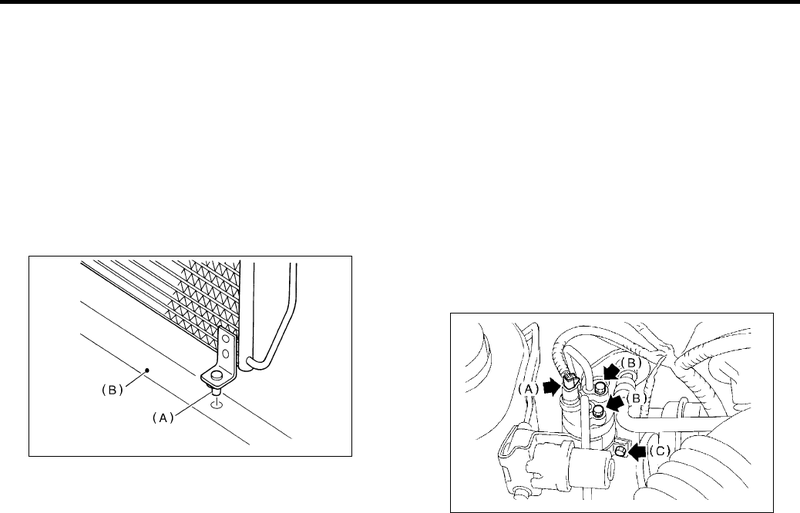 3) Disconnect pressure switch harness (A). receiver drier to protect it from moisture.